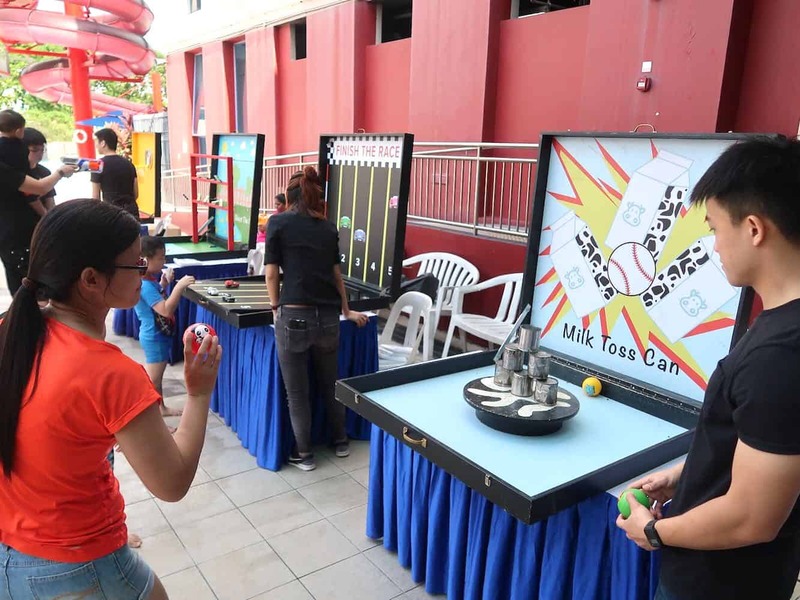 If you are looking for carnival fringe activities in Singapore, Carnival World has the follow games and activity stations to offer! From our most popular carnival game box and inflatable games to fringe activity stations such as sand art and caricature, we have it all! Carnival Fringe activities include carnival box games, sand art station, balloon sculpting and caricature service. Carnival Fringe activities and equipment include shoot the alien box game, double basketball, fairyland bouncy castle and paddle boat rental. Carnival Fringe activities and equipment include Dart inflatable game, soccer inflatable game, 3 in 1 inflatable game, archery inflatable game, plinko inflatable game, double basketball, golf game and carnival box game stalls. Carnival Fringe activities include carnival box games and double basketball game. 2 hours of event hosting and game entertainment for mid autumn festival at Canberra CC! Can’t decide what to have for your upcoming carnival event? Don’t worry as our professional sales team can help you with it!